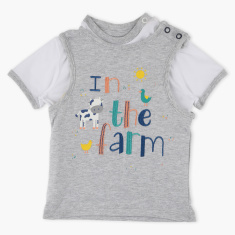 Ensure that your little one is comfortable at all times by getting this uniquely printed t-shirt set. 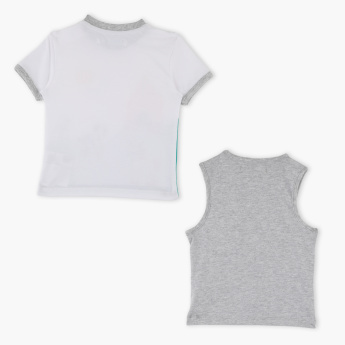 Consisting of a sleeveless and short-sleeved t-shirt, this set is crafted from the best quality fabric. 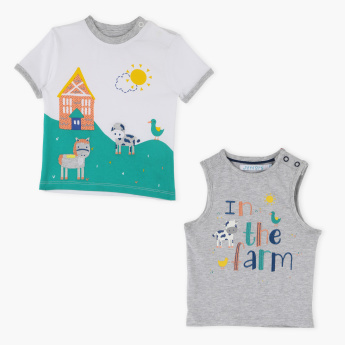 Soft against the skin and easy to wear, this t-shirt set is certainly a must-have.